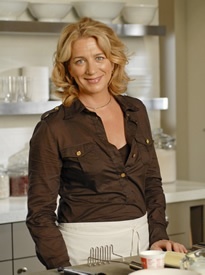 Earlier this week, I had the opportunity to chat with celebrity chef Lucinda Scala Quinn (Executive Director of Food and Entertaining at Martha Stewart Living Omnimedia, host of weekly food radio show EatDrink, author, and star of the new television show MAD Hungry with Lucinda Scala Quinn airing on the Hallmark Channel). She shared some fabulous holiday entertaining tips and discussed one of her favorite holiday treats -- the traditional Italian panettone. TAYG: Is there a special gift that you like to give during the holidays? LSQ: As a woman of Italian extraction, I've loved panettone all of my life, and it's definitely something that I give as a gift every year. TAYG: Could you explain what panettone is? 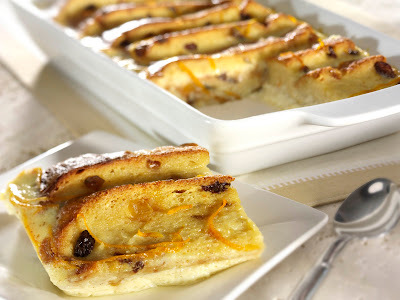 LSQ: Panettone is a traditional Italian bread made from a yeasted dough that's studded with dried fruit, candied citrus peel, and, sometimes, a bit of chocolate for an extra bit of sweetness. I consider it a cross between a cake and a sweet bread. Typically, it's given between the months of November and January, so it's the perfect holiday gift. TAYG: Do you make panettone at home or do you buy it pre-made? LSQ: I used to get panettone at specialty shops in Little Italy, but you can find it more readily now in regular supermarkets and grocery stores thanks to Bauducco. 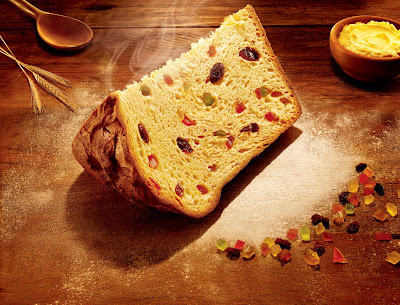 I love their panettone because it's made in the authentic Italian fashion and incorporates high-quality ingredients. The best part is the price point -- you'd think a product of such quality would be expensive, but it's affordable, which means more people have access to this fantastic treat. TAYG: How do you like to serve panettone? LSQ: Well, it's great as it is, straight out of the box! When I give it as a gift, I like to pair it with a bottle of Prosecco. But you could pair it with a bottle of champagne, if you'd prefer. Panettone is also fabulous to serve with coffee or tea in the afternoon, or you turn it into amazing French toast or bread pudding. 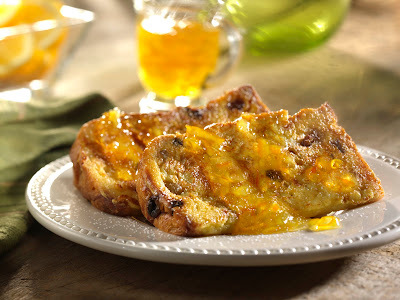 TAYG: French toast and bread pudding? My stomach is growling now just at the thought! Lesson learned... don't conduct interviews that focus on food before I've eaten lunch... But, moving on... Now that the holidays are here, folks are busy making plans for parties and get-togethers. Do you have any holiday entertaining tips to share? LSQ: The trick to entertaining is to stay relaxed and to be comfortable. The whole point of entertaining is the gesture, so there's no need to go over-the-top. If you're comfortable when your guests arrive -- as opposed to running around like a crazy person -- then your guests will be comfortable. TAYG: So keep it simple? LSQ: Absolutely! Keeping things simple is the best way to go. Make a plan and don't bite off more than you can chew. TAYG: How do you go about planning what you're going to serve? LSQ: I like to serve a combination of store-bought items and homemade items. Mixing and matching is perfectly okay. The key is to focus on serving fewer items in greater quantities. Also, I always serve some type of punch in addition to wine and sparkling water. Limiting myself to those beverages means I don't have to worry about having a fully stocked bar. TAYG: That sounds perfectly logical. And cost-effective, too! LSQ: Absolutely! Who wants to spend all that money on liquor when you could be using that money to make sure the food you're serving is of the highest quality? Oh! And before I forget, I have a great tip for serving punch at parties. You know those vases you get with floral bouquet deliveries? The ones you wind up collecting in the back of a closet because you don't know what else to do with them? Well, pull them out, dust them off, and serve your punch in them! They always come in interesting shapes and are a great alternative to the expected punch bowl. TAYG: In all the years I've been getting flowers -- not so many lately (hint, boyfriend, hint!) -- I never thought to use them for anything but flowers. Great idea! Now, just one more question... What's your favorite part about the holidays? LSQ: At this stage of my life, my favorite part of the holidays is really enjoying the company of family and friends. Rather than packing my schedule with one holiday party after another, I only allow myself to do the things that will allow me to stay relaxed. When you're stressed out, you miss on the subtleties, and right now, I just want to live in the moment. Taste As You Go Disclaimer: I was provided with the opportunity to conduct this interview through the efforts of a PR agency. I do not accept monetary compensation for writing about the interview. All opinions expressed outside the boundaries of the interview are my own.